Hello everyone, and welcome to a fun little piece I’m calling — for today, anyway — Sunday Disney-rama! It has been far too long since I did a Disney In Pictures post, so today I thought I would share with you some fun little pictures that I have in my collection that capture the spirit of Disney in all of it’s intricacies. So sit back, relax, and enjoy looking at some good old fashioned Disney fun! 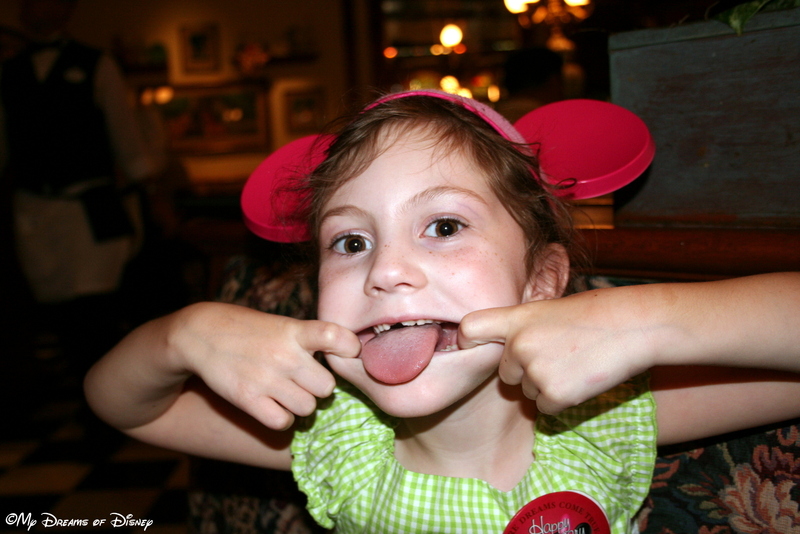 This first set of five pictures are all from the Magic Kingdom. Enjoy! 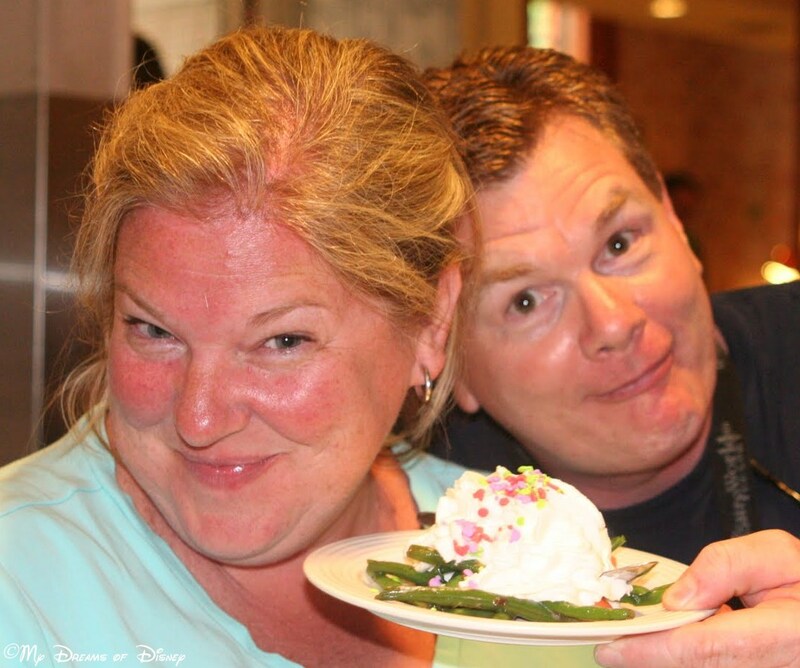 At Tony’s Town Square Restaurant — our first ever Table Service Restaurant on our first ever on-property vacation! Busted! 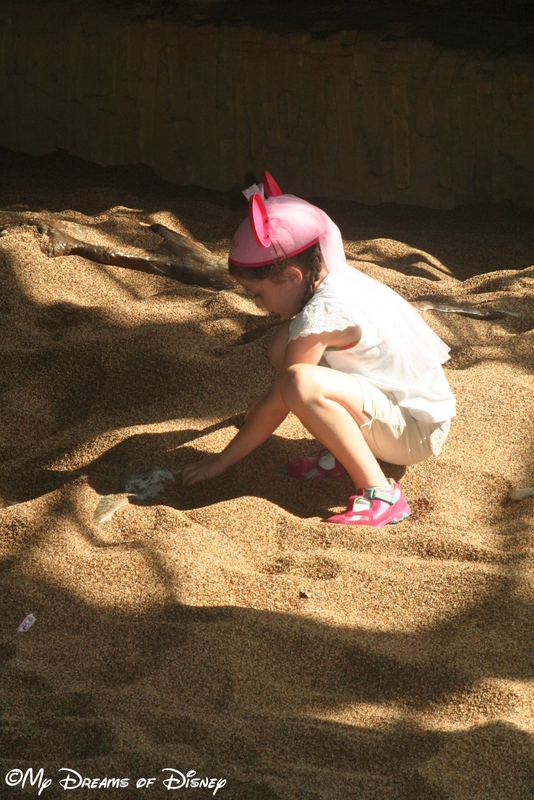 Two pictures before in my album you see Sophie climbing down off of Piglet’s House! This was the look on her face when I called over to her! 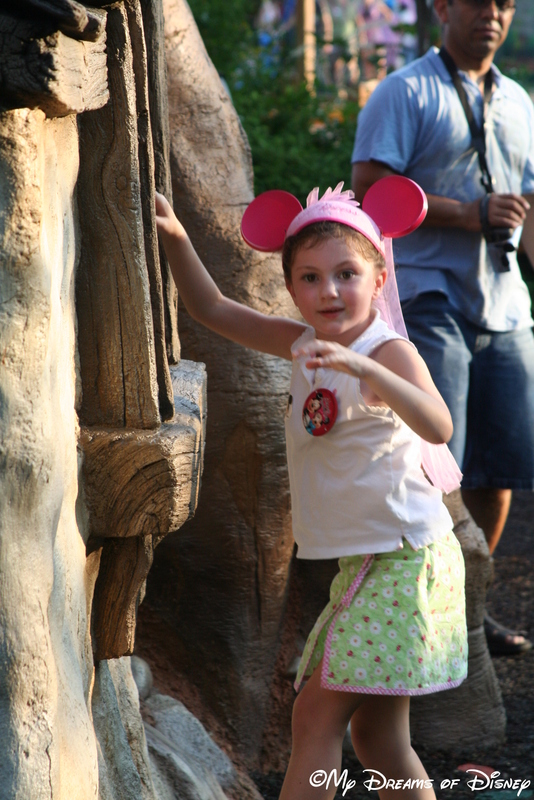 Over by Splash Mountain, Sophie was sharing with whomever would watch her dramatic pose! 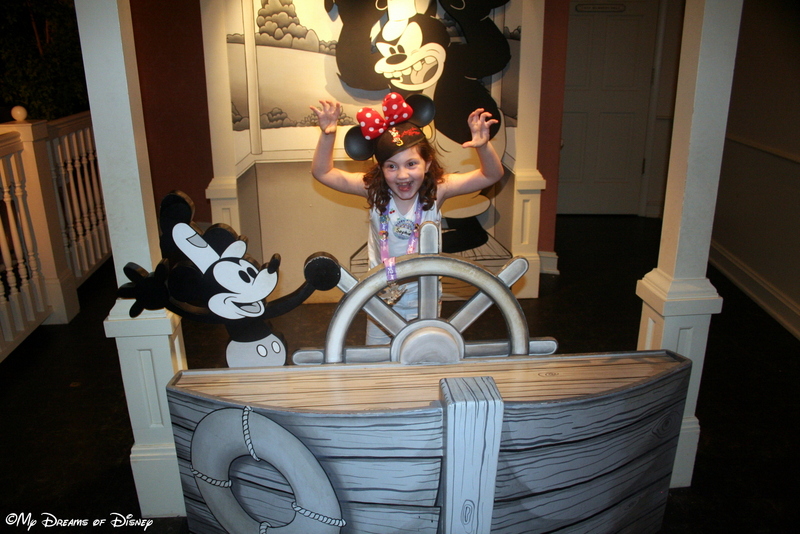 Sophie wanted a shot of her expression of Pete in Steamboat Willie! 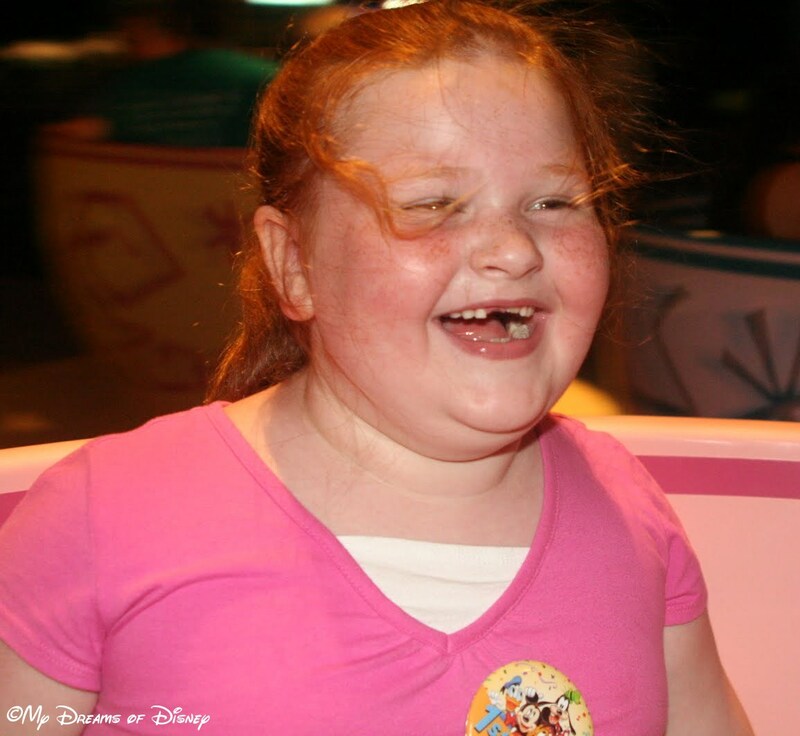 Anna Jane, in her first ever trip to Walt Disney World, riding her first ever attraction at Walt Disney World: The Mad Hatter Tea Cups! This next set of five photos comes to us from Epcot! Enjoy! 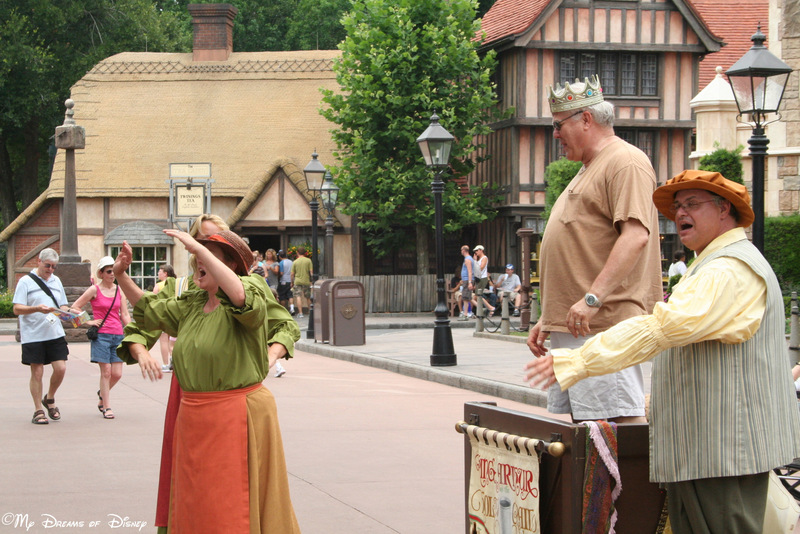 I love the street performers over by the United Kingdom Pavilion! 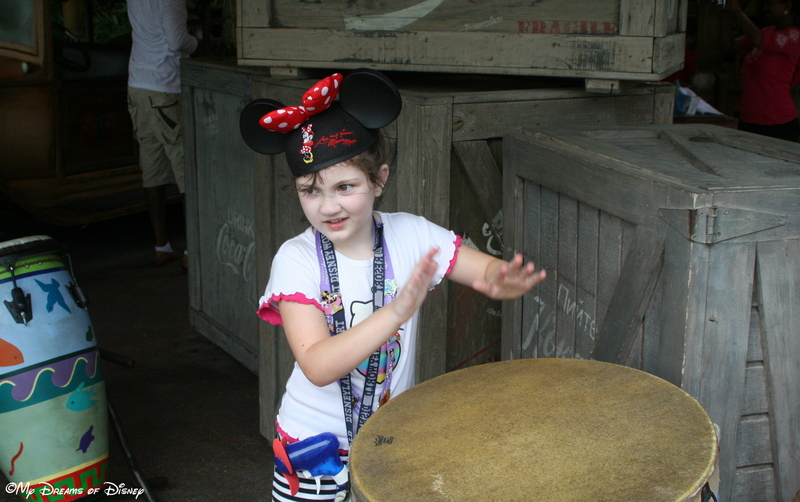 At the African Outpost, Sophie is marching to the beat of her own drum! 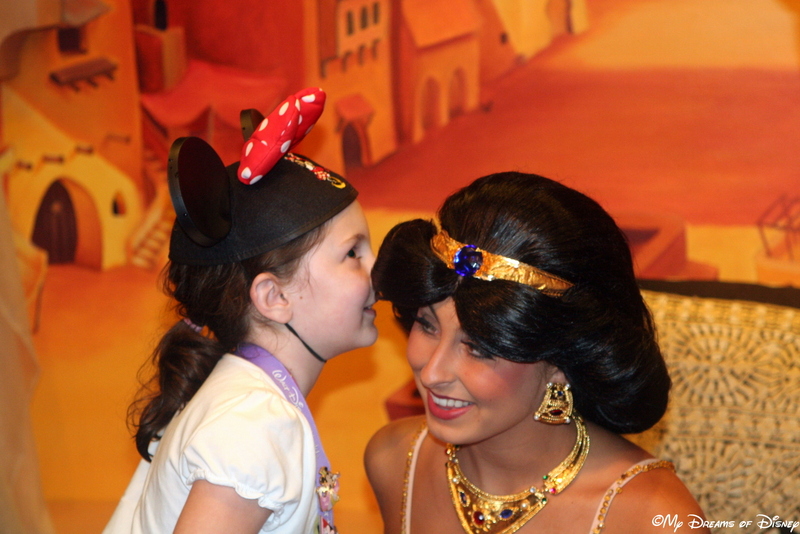 In one of my favorite Disney Memories, here Sophie is in Morocco telling Princess Jasmine all about the costume she is going to buy! 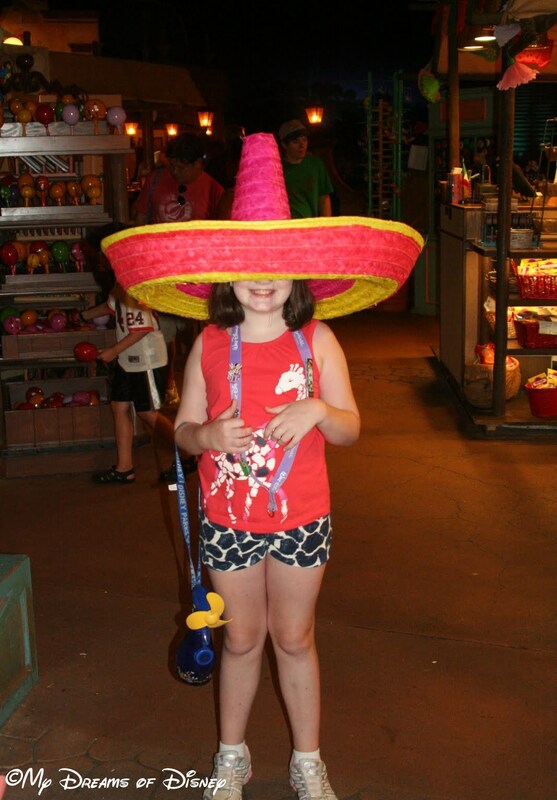 Trying on big sombreros in the Mexican Pavilion open air market! 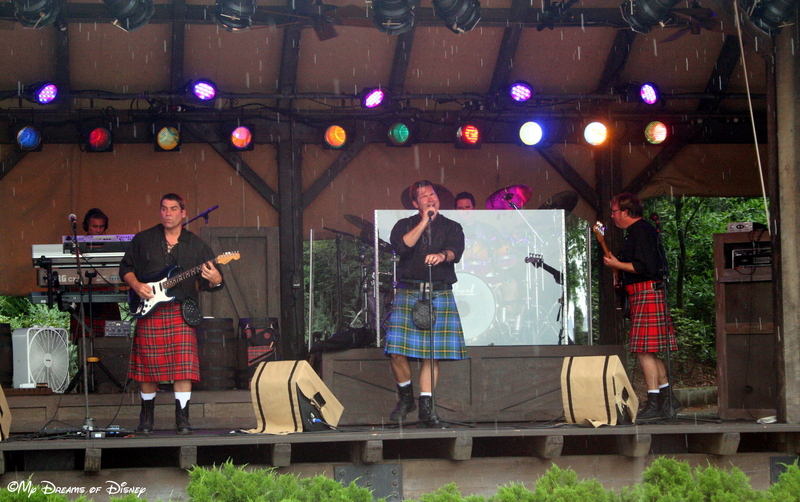 Rockin’ to the off-kilter sounds of Off Kilter — in the rain, no less! For our next set of five pictures, I’m sharing with you some of my favorites from Disney’s Hollywood Studios! Enjoy! The Great! The Incredible! 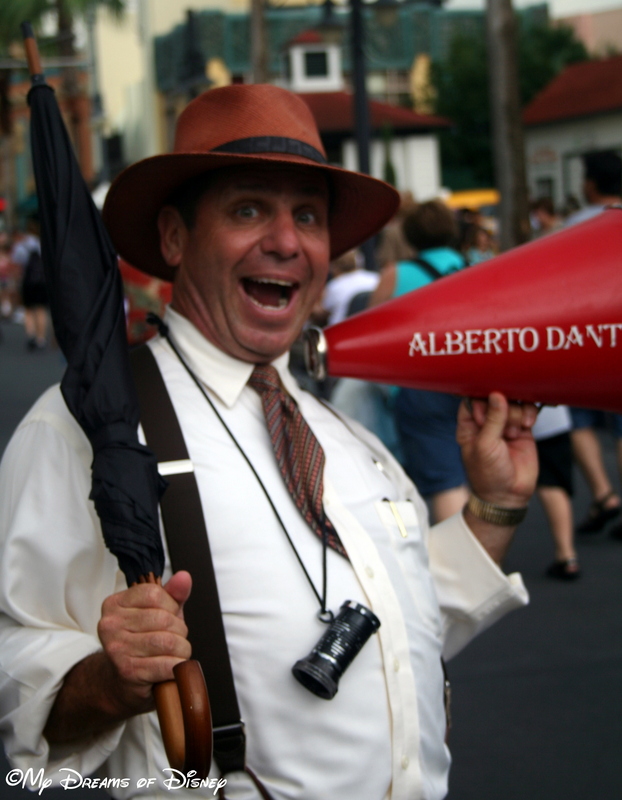 The Stupendous Alberto Dante! 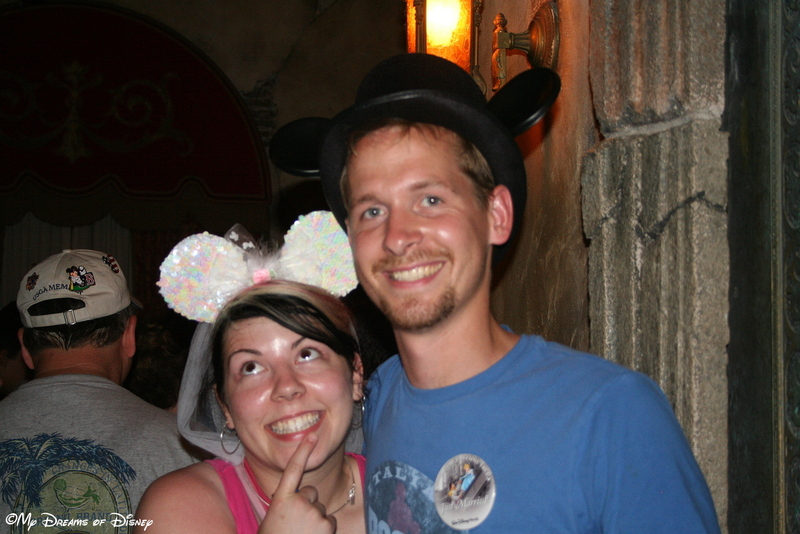 Newlyweds Bryanne and Tyler in the queue at the Twilight Zone Tower of Terror! 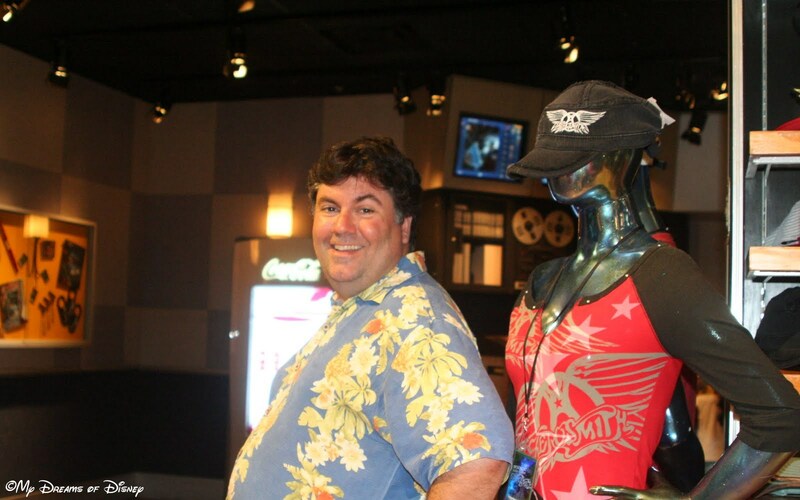 Which one is the mannequin? Next time, Nancy, you had better eat your veggies! 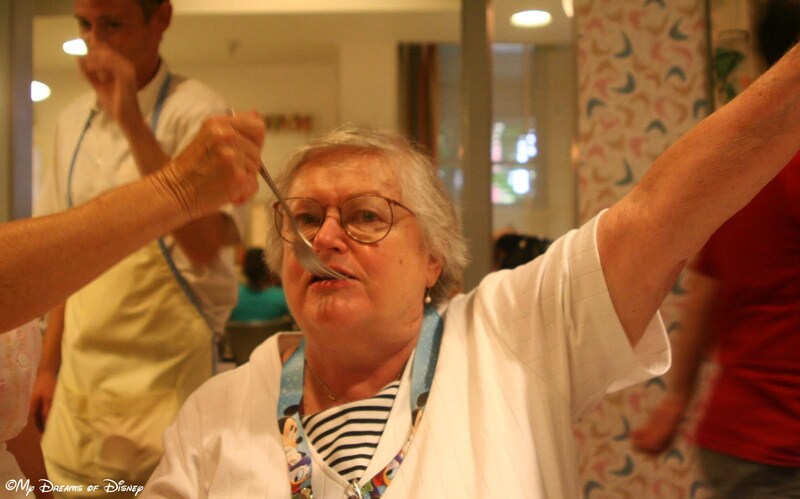 The Tattletale is finally done being fed by Ma! Victory is hers! Last, but by no means least, the final five photos I’m sharing with you are coming from Disney’s Animal Kingdom! 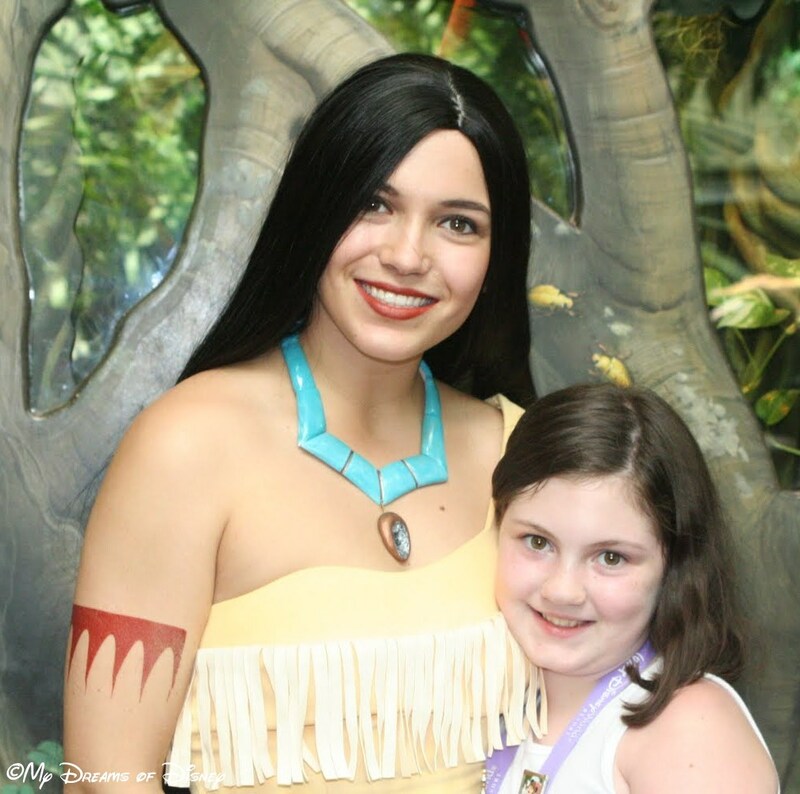 Pocahontas and Sophie at Rafiki’s Planet Watch! Back Off! 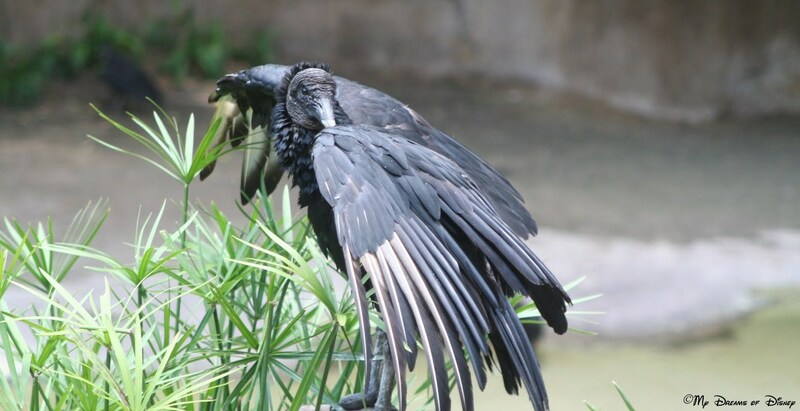 This isn’t the bird you’re looking for! 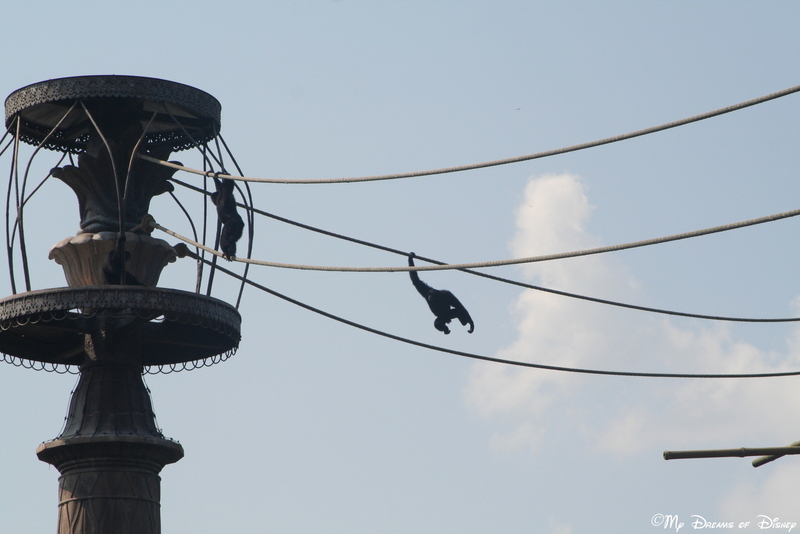 At Disney, even the monkeys get into the fun! 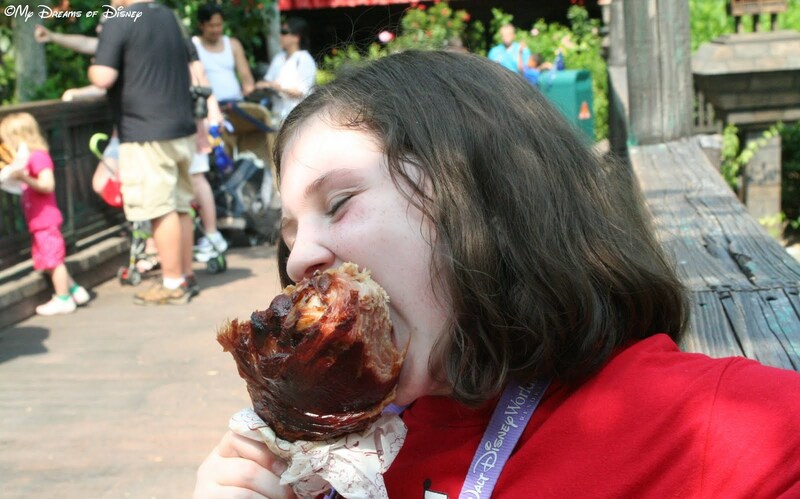 You know, back in the day, the Boneyard could captivate Sophie for hours! Thanks for joining us today! 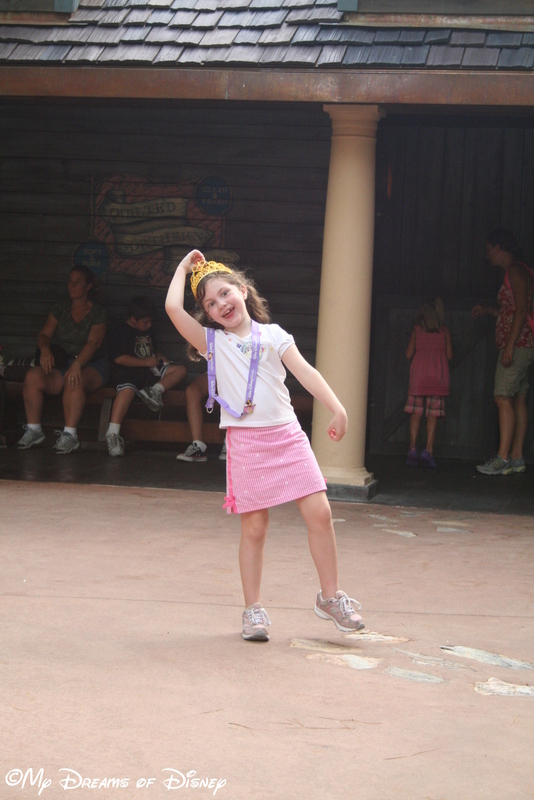 I hope you have enjoyed our photos from around Walt Disney World!